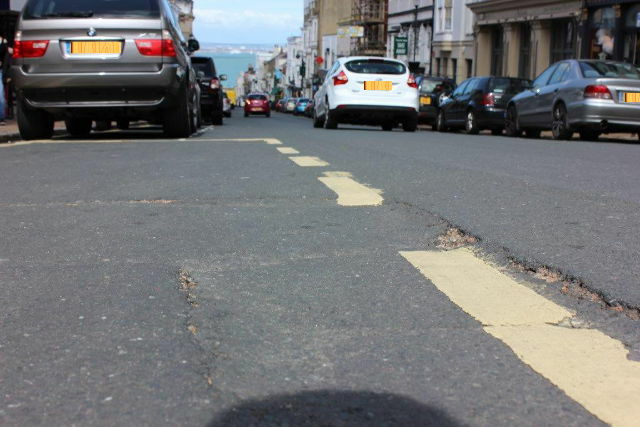 The Isle of Wight Council has written to all town and parish councils, asking for help to prioritise a list of 880 highways requests, but say they won’t be started until April 2019. A backlog of highways requests — including new speed limit signs, crossings, dropped kerbs and disabled bays — will not be dealt with until April next year, at the earliest. The Isle of Wight Council has written to all town and parish councils, asking for help to prioritise a list of 880 highways requests. All requests for changes or additions to the roads network have been added to the Network Integrity Register (NIR) list, to be dealt with as part of the highways PFI contract. A backlog of around 1,700 requests had built up by 2015, but a year later, former Isle of Wight councillor Phil Jordan, then responsible for overseeing the PFI, said it had been reduced to around 1,000. The current list of 880 enquiries has been sent to town and parish councils to request their views on which schemes are highest priority. The council said this would be taken into account, along with the professional assessment of the qualified Island Roads highways safety staff to prioritise the list and remove requests that are not considered appropriate. Some of the schemes, the council said, were not required or even legal — but the requests have remained open on the register. They said schemes not prioritised for the next budget would be carried forward and implemented in future programmes. It will not be possible to fund all the requests that remain open in the next year. 4 Comments on "Council’s appeal to reduce 880 backlog of highways requests"
Many roads on the No.2 & 3 bus route are in an awful condition: Star Street & Bennett street are particulaly rough, meaning a protracted journey using public transport is a source of dread. The banging about & jarring in buses hitting deep potholes, is extremely painful & must be quite damaging to the vehicles too. Are they all on an extended Christmas holiday? Does this mean all the pot wholes will be just allowed to get bigger?